What’s so cool about being last? Book report: Blackfish City by Sam J. Miller,2018. Sci Fi but a weird one. A floating island city, a disease called “the breaks,” a woman who rides an Orca and brings a polar bear with her. Story has 4 main people and gets a bit disjointed, but connected, in alternate chapters. This will get donated. I am looking for the name of this bar/night club that closed in Walnut Creek it was, I believe. Here is a pic of the press conference the owner gave after it closed. It was either in Walnut Creek or in Maine. This was about 5-7 years ago. @concord ygnacio – I am confused by your question. The picture is of Megaupload founder Kim Dotcom at the launch of a new file-sharing website called “Mega.” Kim Dotcom lives in New Zealand. Maybe you are thinking of Walnut Creek CD-ROM? It was located in the shopping center at Geary Road and Pleasant Hill Road. Thanks WC Resident. I guess I was confused. I had for some reason saved this pic on my computer and was trying to remember what it was from. For some reason, I thought it was a bar closing in Walnut Creek, and I wondered why he had such a grandiose press conference for a mere closing. A bar was forced to close in WC around that time. The guy who owned it put on a big production saying why he was being persecuted. There was a link on Claycord if I remember…. Loud music at night, drunks, He had a video saying why it should stay open. @Glen: yes! That is the one I was thinking of!! Glen’s comment rings a bell. I recall several bars/nightclubs where the owners put up a public fuss. One was on south end of town across S. Main Street street from Kaiser. Another was on Giammona Drive next door to Skipolini’s Pizza (or maybe on Locus right around the corner from Skipolini’s). From what I recall, in both of those cases the owners converted from a restaurant to a dance club without getting approval from the city. I can’t remember the name of either place. Perhaps you are thinking of… Johnny’s Love’s was the bar on S Main next to Las Lomas High School. The city never should have given the permit for a bar to open so close to a school. Johnny used to be the bartender at Harry Denton’s In SF. There also was a bar right down town that was trying to open in the old bookstore building across from Crogan’s that is now Sauced. Surviving Kirker Pass Road – twice a day – 5 days a week – watching aggressive drivers – cut in front – illegal lane changes – excessive speed – left of center – tail gating – fatalities – Buchanan Road right turn – solo accidents – rollovers – with my kid in the car. Trying not to yield to road rage & worried I will die on Kirker Pass Road and orphan my child. We lived in Antioc and got fed up with the Kirker/Buchanan mess. Moved over the hill and have never regretted it for a moment. Why don’t you get a Dashcam at least? They’re really not that expensive. Kirker Pass Road will be getting a truck lane in the near future. Traffic on Kirker Pass Road is also expected to double by the year 2040. Luckily I will be dead by then. There has been contention about expanding Kirker Pass Rd for decades. There was concern over destroying the beauty of the hills. That sentiment is being bypassed with the need for increased commute and soon, housing. 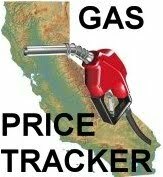 I will never understand why our politicians and eco peeps have forsaken California for invaders that don’t even respect the environment and are decimating our economy. I wonder if we live in the same neighborhood as I too have a neighbor who has their rv in site and much junk on a side yard. However it doesn’t bother me as it is not my problem or business. Maybe a coincidence. But I guess concord has bigger problems than my neighbors RV. This would be illegal. The street sewers are not a septic system and the waters from there go to the rivers and lakes. That is why mobile shower systems like Lavame for the homeless in Sf and Oakland have to keep the gray water in their bus tanks and dispose of it properly. Gray and black water from an RV is to be into proper disposal tanks. There are many places that have disposal free, like at some rest stops. I would call code enforcement. Sorry, at the end of the day, it’s none of your business and best to leave them alone, perhaps focusing on your own property instead. The sewer connection does not flow to rivers and lakes. It flows to the sewer treatment plant. It is separate from the storm drain system. Not a great idea, but not illegal. Don’t call code enforcement NIMBY. If you live in Concord there is a City ordinance that stipulates that RV’s, boats, etc. must be stored behind a fence tall enough to hide the vehicle from the street. Enforcement is usually complaint driven. Thanks for the info. I was under the impression that sewage from a boat or RV had to be disposed of according to a strict set of guidelines that would preclude dumping it into your Clayton city sewer connection at the curb in front of your house. i can only hope they finish the fence by putting boards on it so that we don’t have to look at the monstrosity or their junkyard. The thing sits as tall as the house, so it is unlikely they will be able to disguise it with boards on a fence, but anything would be an improvement. It might be helpful here to also mention that garbage cans need to be stored so they are not visible from the street, preferable behind a fence. I really don’t want to look out my windows and see their garbage cans day in and day out sitting in plain sight in the front of the house. If this is how they handle what their neighbors can see, I shudder to think what the backyard and inside of the house look like. Unfortunately, you are completely wrong. It is alos not NIMBYism. The neighbor has committed numerous code violations, as pointed out above. By doing so, he is lowering others’ property values and quality of life. You cannot simply dump your RV sewage and gray water down the street drain. There are proper disposal places for that. No different than urinating down the drain or taking a dump by it and waiting for the rain t wash it down. If everybody used the street sewers that way, we would have a big problem. Lavame (a mobile bus that travels to parts of SF and Oakland to allow the homeless to shower in them) was limited in the showers they could offer per day due to the fact they had to hold the gray water in their tanks to dispose of properly. Someone suggested simply running a hose from their shower tanks to the street sewer at whatever location they are at. They said that would be illegal and violate city codes. @Kirkwood: In PH, you are allowed to store RV’s in your driveway, but no one is allowed to live in them while on your property (or on the street too). @GiddyUp – The max height of a fence in Concord is 6′ with 1′ of Lattice. If the RV you’re tired of looking at is a newer model the roofline is taller than 7′. We have a cleanout to the sewer in front of our home that was used by the old homeowners, and we use it when we return with our RV. It’s not illegal to dump our black or gray water in the line. I do agree about garbage cans being visible, it is in the city codes that they are supposed to be stored out of sight. I’m sick of seeing my neighbors cans out my bedroom window every day. Honestly, I thought at one point they might be considering using it as an AirBnB. You clearly don’t understand the difference between a sewer connection and a storm drain. As I stated before, the sewer connection flows to the sewer treatment plant. It is completely seperate from the storm drains which flow from the curb in front of your house to the creeks and out to the river. You can’t read the writing, but it says no dumping and that it drains directly into the bay. A few of comments about “they are draining the septic system into their sewer connection at the curb when they return from a trip” by Giddup. As others have noted, there are two separate systems. 1) The storm drain system has inlets in parking lots and the curbs of streets. These drain into local creeks which flow into the Sacramento River which flows out into the SF bay and ocean. 2) Your house is connected to the sewer system. That water goes to the sewage treatment plant near the intersection of highway 4 and Interstate 680. After treatment the water is released into the Sacramento river. You are not allowed to empty your septic system into the sewer system, and definitely not allowed to dump it into the storm drain system. The reason for this is that septic systems use additional chemicals that the sewer plant is not designed to handle. I believe some of those chemicals also kill the microbes/bacteria that the sewer plant uses to process waste water. In 2018 a guy in Pacheco was arrested for doing exactly that. He had septic tank cleaning business. He would drive back home and connected the truck to a sewer line he had installed in the middle of his yard. The sewer plant operators were seeing surges of septic tank chemicals and investigated the source. It’s possible the RV people are emptying their fresh water tank. That is allowed and it’s okay to empty it into the storm drain system though I’d use it to water my yard. If the RV is parked in a side yard behind a fence then it’s probably legal. If you are concerned, then take photos and send them to your city’s code enforcement or community relations department and ask what the rules are. Since about 1970, builders in Concord are required to install a sewer lateral cleanout at the property line closest to the sewer main. If a plugged lateral occurs the City will insure that the line downstream of the cleanout is clear. On older properties with no cleanout, homeowners are responsible for their lateral all the way to the main. I have argued with many citizens who wanted their plugged lateral cleared by the City and denied. As for storm drains do you know that ONLY stormwater runoff is allowed in storm drains? Water such as swim pool water is illegal because chemicals such as chlorine can harm wildlife in the creeks and streams. Having sailed on the bay in a sailboat with a head, I was somewhat familiar with the restrictions related to the proper discharge of sewage. I said, “I guess you have to pump it out, then?” He said, “We pump it out when we get home at the sewer connection …” which is the city sewer cleanout installed in the front yard of each house near the curb as others have mentioned above. I don’t know how it is done exactly, but I would imagine when you are pumping it at a discharge station the whole process is much “neater” than what would take place at an impromptu dump into your front-yard cleanout, which by the way only allows access in a direction away from the house. I did notice that the City of Concord sent out a truck to pump out the sewer via the manhole cover in the street since they bought the RV, so I am wondering if discharging a three or four-day trip all at one time would overwhelm the system locally. Additionally, they would be pumping it out with some force other than gravity which usually governs the system. Could it not possibly back up into other people’s lines when discharged under pressure? Doesn’t seem quite right to me. Interesting. A neighbor up the street drains his swimming pool every other year or so into the street which eventually ends up in the storm drain. Or, at least that is what I think he is doing. I can’t imagine anything else filling the gutters for hours on end like that. The only sewer connection at the curb is a storm drain.The actual sewer is a man-hole cover in the middle of the street.The RV waste is going into the storm drain.That drains into the delta.Code enforcement needs to be called. @Peter When the sewer connections were made for each property on the street, three “cleanouts” were installed on each property. They consist of an (about) four inch PVC pipe with a removable lid located above ground which connects to the underground sewer pipes which then run to the street, connecting to the main. One of these cleanouts is located where the main sewer pipe leaves the building. A second is locaed where the main sewer pipe turns and runs to the street. The third is located about six feet from the curb. Their purpose is to provide access for the homeowner to clean out any blockage occuring on their property. The people with the RV are pumping the RV’s sewage holding tank into their cleanout near the curb, not into the street. I’m not sure I made that clear. I checked the code and I can not find specifically that it is a violation. “13.08.020 – Unauthorized Discharge of Sewage. A. No person shall discharge or deposit sewage or sewage effluent in or on any area within the city except as permitted by this chapter or pursuant to a permit issued by the city council. Giddup.Your first post says”apparently they are draining their septic system into their sewer connection “at the curb”.Now you are saying the connection is about 6 feet from the curb.Thanks for the clearing that up. Sorry, I didn’t say they were pumping it into the gutters at the curb which lead, of course, to the storm drains. They are pumping the RV sewage into their sewer cleanout at the curb. There are three sewer cleanouts on each property, one is at the curb, or near enough to be considered the curbside sewer cleanout, as opposed to the other two cleanouts which are in the backyard. If they are not microchipped, send them my way,…LOL! I enjoy bird watching, no matter which size, but not crazy about the crows. Had a Peacock come up our court 15 years ago, walked through our front yard to the back yard. Hubby got a photo before it opened it’s wings, and in one leap and one flap of wings, he was on top of the 2 story Apartment build set near the back side of our yard. It was an awesome site! I was given a Hostess Cupcake today! a 2 pack… it’s been a few years since I’ve had anything from Hostess. Is it just me, or has some sadistic corporate miser actually decided to make these precious delights SMALLER merely to save money ? Hostess went out of business and new owners bought it in 2016. Dunkles vollbier ist das beste! Krispy Kreme advertises specialty donuts for certain seasons. But when you go to buy one, they never have them. In addition to what I normally get my husband for Valentine’s Day, I thought I would add something new and different. So I went there to get him one of their Valentine’s donuts Thursday morning, because I didn’t want to give him a stale one, and they were already out. I was kind of disappointed. So I walked out not even buying any other type of donuts as planned. I guess, if I want a donut as a rare treat, I will go to another donut place. Try The Best Little Donut House or King’s donuts. Both are local and delicious! Good observation! The Concord Krispy Kreme needs to step it up. They have questionable customer service and sometimes bitter coffee. And I never see the HOT DONUT sign on. Says 100 Block of Hill st. 3 people displaced. Anyone notice the “duck” (stack of rocks) located in LimeRidge where the fire was last year? You can see it from Ygnacio. Pretty cool. Hope it respected by hikers. We did notice the rock pile, and this morning noticed a few of the rocks had been removed. We both thought it was cool. What is the purpose of the duck, and why would people remove the rocks? Beware of the paper boxes now used by restaurants for leftovers and takeouts. They are flimsy and bottoms become damp within minutes and wet within an hour. Make sure they are in a plastic bag or you’ll have a cleanup job in your car. Liberals, making life more interesting as they save the planet . . .
You’re right, just drove by it and rocks have been rearranged. I sure hope it’s not destroyed. Looks like a Tesla to me! Sad – Nantucket’s closing down. or click on the ad on the side somewhere. Full Snow Moon 🌝 tonite. There is a “Supermoon” shining tonight. It’s a combination of the Moon being at its perigee which is when it’s closest to our Earth and that it’s a full Moon at the same time. In this case the perigee will be at 1:04 A.M. early Tuesday morning and the full Moon is at 7:54 A.M. However, tonight makes for good viewing. Thanks to Caltrans for cleaning out the homeless camp between BART and 680 at Jones rd and the canal trail. Amazing how much junk those people can accumulate. Everytime they reinforce the fencing it gets cut and people move in again. Too sad. There’s apparently a plan to do a permanent eviction at that spot. The gate was re-locked on Tuesday. Grass Fed and Finished Ground Beef: For those of you who enjoy grass fed beef and have a chest freezer, Stemple Creek Ranch (Marin County) has their grass fed and finished ground beef on sale in 25 lb boxes (Normally $10.50/lb, on sale for for $8.99/lb.) It comes packaged in 1/3 lb patties, 1/2 lb patties, or 1 lb packages. Overnight shipping at no extra charge. You can order from their website stemplecreek.com. I have been ordering grass fed beef and lamb, and their pork for about a year. Best meat we’ve ever had. Their packs and bundles include free shipping and represent a good value versus purchasing each piece separately. Wonderful customer service, too. Mosquitoes . . hadn’t thought about the little buggers ‘casue it’s been so cold at night. Last two nights below freezing yet this afternoon out prepping for transplanting out behind the green house noticed movement when a container with rainwater and a few leaves in it. So might want to do a walk around emptying out any standing water. The neck you save might be yours. Family debate….. scariest Steven King movie… I say Pet Semitary but I can’t remember all of his stuff. Happy beautiful Thursday morning to everyone. Play your favorite music and enjoy the day. Workers were installing right lane traffic pylons on Clayton Rd. at the Lucky Store today. Anyone know why? What happened to the column, Traffic Jammin’? The last article was posted in Dec 2018. Old-school guy – Mayor said that Janis got a job elsewhere.